The latest release from Detroit based enigma BeatLoaf pours Deep House, Electro Funk, Detroit Techno and Synthetic Disco into a musical melting pot. An evolving and intricate tune that takes you on a Sci-Fi dancefloor journey through robotic vocals, modulated synths and storming house beats. Romantic is an eclectic beast. The Lomen featuring tune takes it’s time to build, ushering the dancefloor on a journey through spiky synthesiser soundscapes before launching into a full force, strobe-lit, underground House jam that is unsettlingly infectious. The track’s B-side, Without You, is a Synth-Disco epic. An optimistic opus in comparison to it’s moody flip-side, Without You trades android Funk for a shimmering sunrise vibe with Deep House undertones. 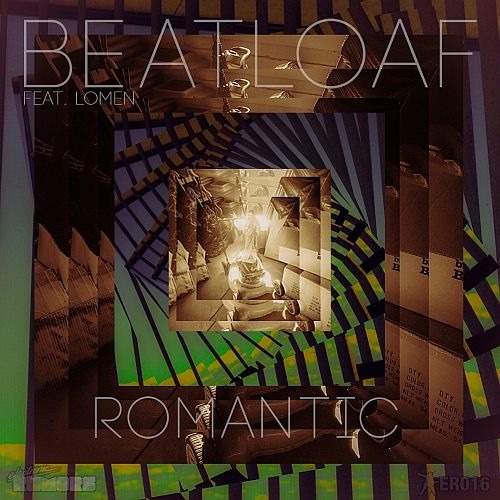 Detroit based producer BeatLoaf can be quite easily categorised on the Indie-Dance/Nu-Disco scenes, but this would be to ignore that fact that he can be one of the most eclectic producers working in dance music today. Drawing from a diverse range of electronic music influences he always produces something both dancefloor friendly and cerebral. Formed after the success of the ‘electronic rumors volume 1’ compilation as a boutique electronic music outlet concentrating on quality over quantity, developing artists and releasing some of the best synthesizer music around.